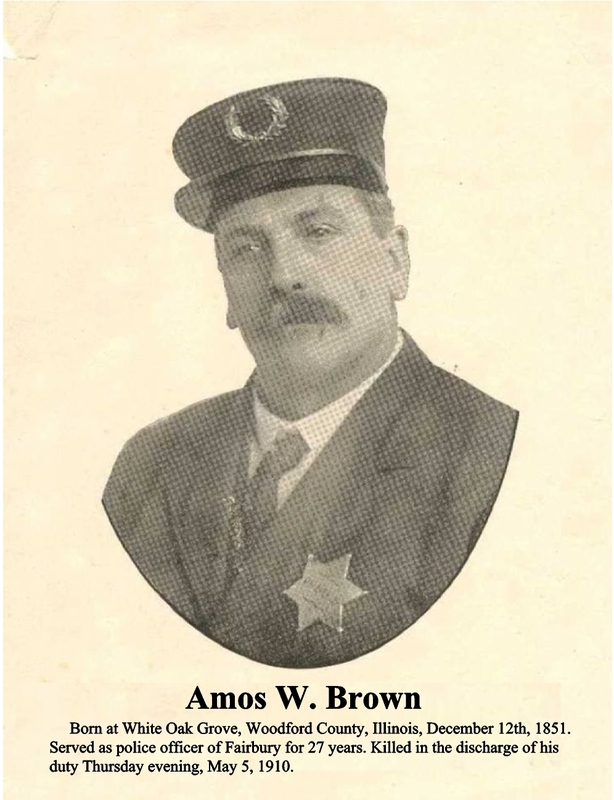 City Marshal Amos Brown died two days after being shot at the intersection of First Street and Locust Street when a man he had reprimanded for insulting conduct toward a young woman suddenly drew a revolver and shot him. The suspect was never apprehended. 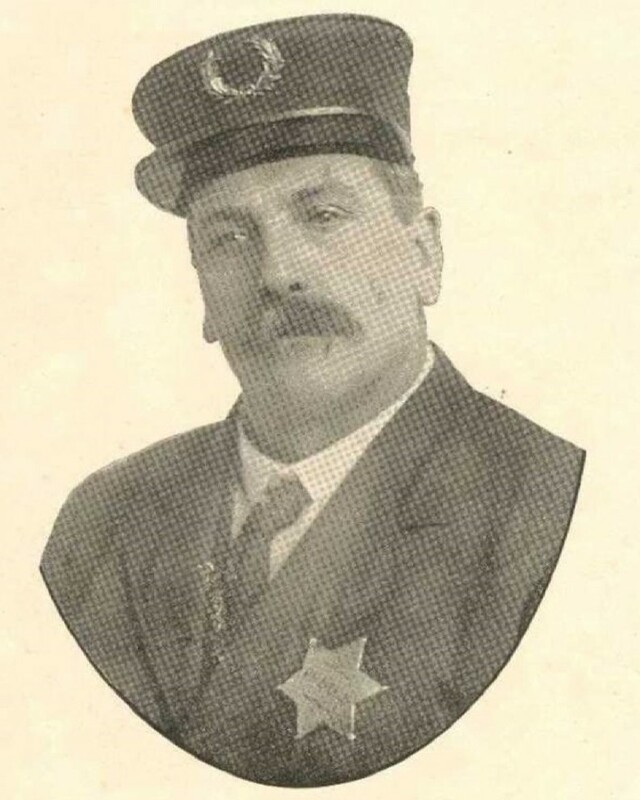 Marshal Brown served with the Fairbury Police Department for 11 years and had been appointed to the position after Chief William Baird was shot and killed in the line of duty in 1899. Town Marshall Brown's story was read in Richton Park Police Department's roll call on 12-04-16 to honor him.